Just looking for small space to call home in Downtown Los Angeles? Or maybe a pied-a-terre in the city? We built this page for you! 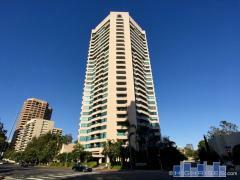 Below are all the currently available 1/1 condos for sale in Downtown Los Angeles. We've put them all on this page but broken them out by price if you want to narrow the selection down further. If you'd like to arrange a tour of any 1 bedroom condos for sale you see on this page please contact Beata at 310-997-4779.